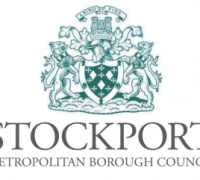 Led by Ethnic Diversity Services (Stockport Council), the Stockport Schools Linking Programme was established in 2008 and included Manchester, before they launched independently in 2017. The number of classes involved has increased over the years to 30 classes this year, engaging 843 children. 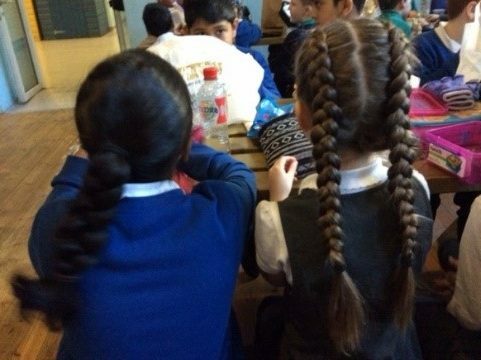 The programme provides an opportunity for staff and pupils to celebrate similarities and be comfortable with the differences with schools from across the city and beyond. 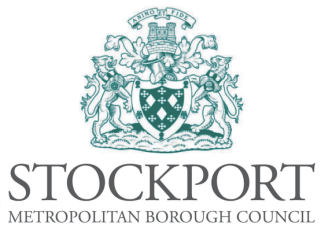 Stockport Homes have donated £5,000 to support our schools and there is also a Hardship Fund to help larger schools. 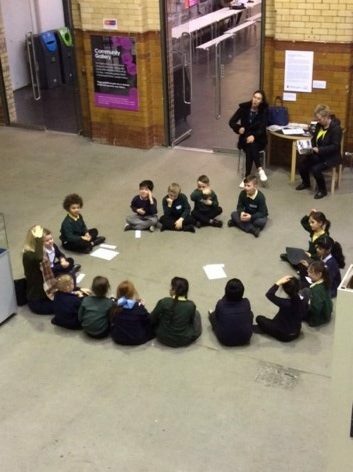 Our neutral venues include: Manchester Museum (where children build clay totems for each school), Z Arts (where children use clay, dance, song, music to connect) and our free training space: The People’s History Museum (where banners for each school are created). Some of our partner schools are so close they walk to each other on visit days. For others, it can take an hour to travel to each school. Regardless of the distance, all have found common ground. Staff and children have shared experiences, have learnt from each other, have laughed and eaten together. Schools Linking has provided the structure for long lasting relationships between schools. 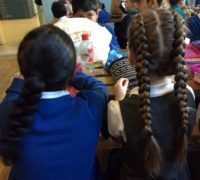 Arden Primary School in Stockport and Birchfields Primary School, Manchester, have linked for eight years- an established link professionally for staff and for the children who have passed through Year 4. 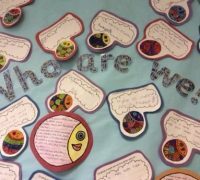 Case study: Armitage CofE Primary School, Manchester and North Cheshire Jewish Primary School in Stockport have linked 2 classes of Year 3 children. This link continues this year as the children are now in Year 4. 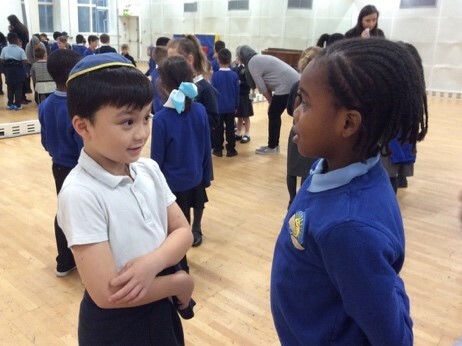 They have observed prayers in English at Armitage and in Hebrew at NCJPS – exploring the similarities and differences in how both schools express and practice their faith. “I haven’t done something like this before. I was very nervous to meet new people but I feel more confident now, and not scared of meeting different people. We are all the same really. “ Year 3 student at Ashbury Meadow, Manchester. 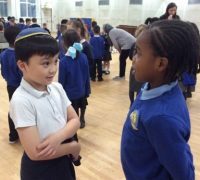 Year 3 Armitage Church of England Primary, Manchester and North Cheshire Jewish School, Stockport sent us The Tale of two Zacs. 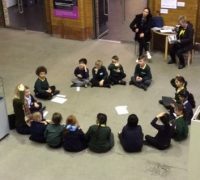 Prior to meeting at Z-arts, a creative arts venue in Manchester, the classes had exchanged names of the class members as well as identity circles. 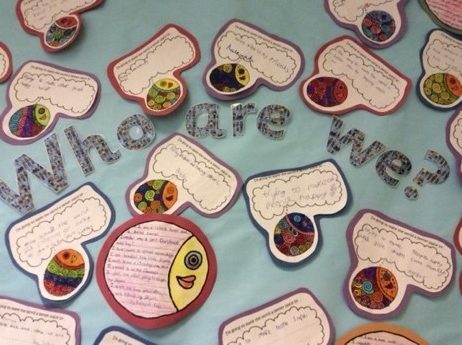 From this sharing of information, the children noticed that they had different names and different interests and hobbies. However, there was much excitement and joy for two boys. They shared the same name and not only the same name but the same interest in card trading games. 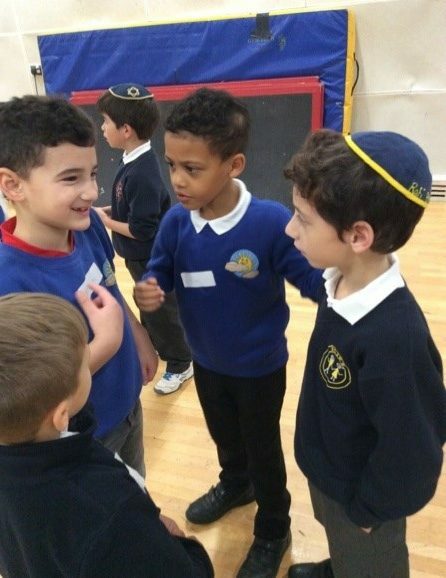 Who would have thought that two boys named Zac, from two different schools, one in Manchester and one in Stockport, from two schools of different faith, one Jewish and one Christian, from different cultural backgrounds could meet and have so much in common? The joy and laughter when they met each other, the shaking hands and shared ground of their interest in Pokemon made foundations of a new friendship. After hellos and high fives the classes took part in warm up activities and games. One game involved moving around to music expressing themselves as a favourite animal. 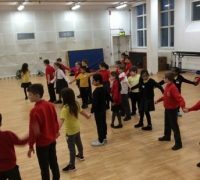 When the music stopped the children were to find a partner and share a fact about themselves or ask a question of their partner. Zac and Zach found each other time and time again. Zach: About your hat? Why are you wearing a hat? Why are all the boys wearing hats? Zac: It’s not a hat, it’s a Kippah. Zach: I’ve never heard of that before, is that a special name? Zac: I don’t know it’s just what they are called. Zach: So why do you wear them? Zac: It’s our school uniform, we are Jewish and Jewish boys wear them. It reminds us that God is above us, watching us. Zach: Oh so it shows your religion? Zac: Yes, that we are Jewish – the girls don’t wear them but they have to wear skirts and not trousers. Zach: Our schools not Jewish it’s Church of England – we can wear our school uniform – but we don’t have… what do you call it again? Zac: A kippah. Do you like them? The conversation then moved on to which Pokemon they though had the best power and if they could be in the same group for art and drumming. 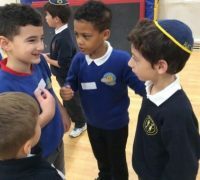 Whilst the children were interacting with each other, the teacher from North Cheshire Jewish School had been approaching her pupils to remind them to put their Kippahs on. Many of the boys had chosen to put them in their pockets on arrival and the class teacher was reminding them that it was part of their uniform. An opportune moment arose when Zac and Zach were asked to share what they had asked each other. 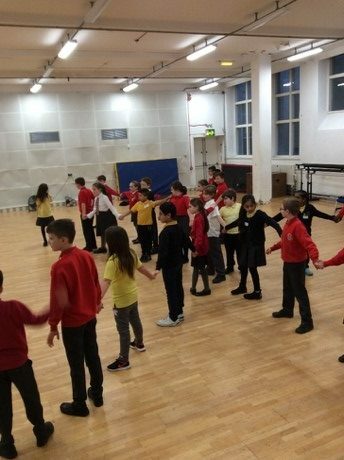 The children across a large, brightly lit dance studio gave their attention whilst Zac and Zach retold their story. Slowly a trickle of hands went in to pockets as crumpled Kippahs were retrieved, smoothed out and proudly placed where they should always have been. Zac was proud of his faith and wanted to share a little bit of his identity with Zach and in doing so reminded all the listeners of the joys of seeing the similarities and celebrating the differences. For the rest of the day Zach and Zac were inseparable. Drumming workshops, lunch and screen printing activities gave many opportunities for them to find out information like their favourite foods, favourite books, things that make them laugh, family habits as well as all the parts of their lives that are different through geography, opportunity, faith and culture. One thing is for certain, Zac and Zach made friends. One Zac from a Jewish school in Stockport and another Zach from a Christian school in Manchester. They look forward to the next opportunity to meet when they can proudly and confidently show each other round their school. Zac and Zach will continue to find similarities and differences between themselves, their schools and their faith and culture through first hand experiences. There will also be some card trading taking place too, who knows Pokemon may be old school by then and a new craze may have gripped them both. Laughter, fun, energy and joy will be in abundance as Zac and Zach continue to build on their new friendship. Zac and Zach met at each other’s school later on in the year. Zac sung the daily prayers in Hebrew as Zach listened and smiled. Zach spoke the Lord’s prayer in English as Zac looked on at the visit to Armitage – two boys linked in a new friendship; two boys speaking in different languages but expressing the school’s values, the school’s faith ethos in different but similar ways. They will get to meet each other again as the two schools have agreed to move the project with the class into Year 4.